Once you have your website how are you going to keep it up to date? This is a very important consideration and we are able to offer you several solutions to suit your skills and pocket. We can build a website for you which when you need the site updating you send us the new information in any format and we will put it into the site keeping the site looking professional and up to date. This method can save you time because you do not need to learn how to use the software and we know how to keep the site looking uniform and professional. This is the perfect option for companies that do not change the content regularly. Many companies choose this option because of the low start up cost, shorter time period to launch and easier updating. Updates are normally sent to us using a program they already understand, such as Microsoft Word with images attached. From this we optimise the image and format the text in the page. The overall result is an optimised site which stays looking professional with the minimum time commitment from the customer. A static site can be updated by the customer using a desktop application such as Adobe Contribute. Your website will be set up to allow you to access your own website and edit the content from your own desktop. The advantage of this method is the relatively low start up cost and the ability for you to update any aspect of the site within the defined template. We have a number of successful sites currently using this method. We recommend this method for small to medium sized websites where updates will only be made from one location. For more information on the options please Contact Us. 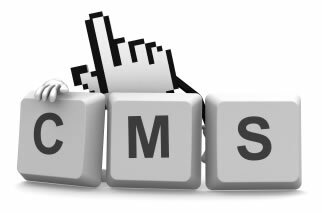 An Open Source Content Management System is a fairly cost effective way to set up an online content management system, but it does have certain limitations. We use Mura, a very advanced and stable open source (CMS) developed in ColdFusion. This option has a higher start up cost than the static sites but allows for quite complex systems to be built with all the data stored in an MSSQL Database. This system allows you to update all content within the template with a secure login from any modern internet browser. Training and online manuals will be provided. Bespoke content management system can be built to you specific specification. It will be built from the ground up therefore the only limitation is your budget! Training will be provided.